We present results from two modeling approaches for the Columbia Plateau Ecoregion, focal species and landscape integrity. The eleven species (Sharp-tailed Grouse, Greater Sage-Grouse, black-tailed jackrabbit, white-tailed jackrabbit, Townsend’s ground squirrel, Washington ground squirrel, least chipmunk, mule deer, Western rattlesnake, beaver, and tiger salamander) represent six broad vegetation classes within the ecoregion. Landscape integrity identifies areas of relatively low human disturbance and connections between these areas. We synthesize these results in the main report and in more detailed species-specific appendices. 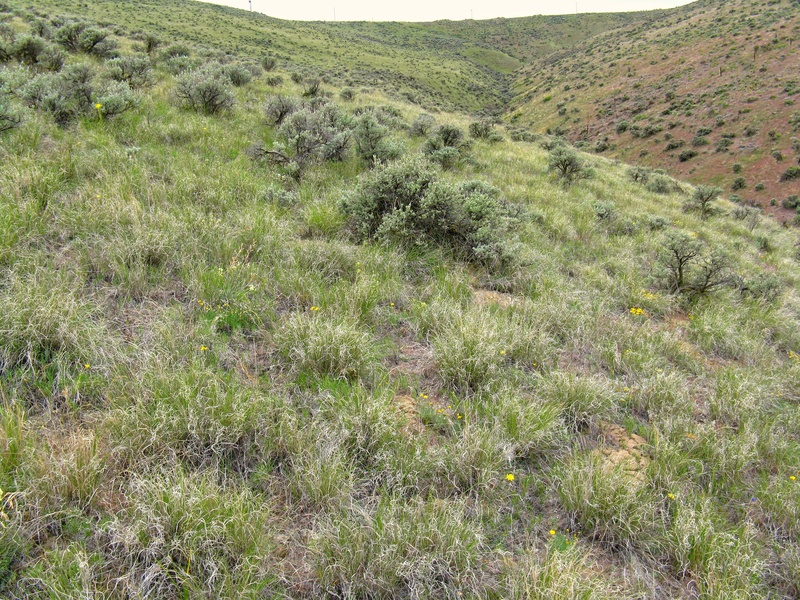 Our results support a vision for a connected Columbia Plateau Ecoregion in Washington. This includes descriptions of two broad connectivity regions, the Connected Backbone of central Washington and the Braided Scablands Swath in the far eastern portion of the state, as well as east–west connections between them: the Upper Crab Creek and Lower Crab Creek linkage zones. Complex linkage zones connecting to areas outside of Washington include the Northern, Southern, Cascade Range, and Blue Mountains zones. 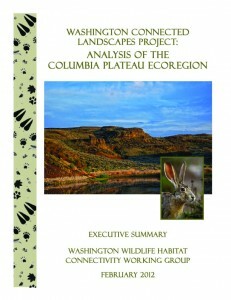 We encourage that you use this analysis to support the development and implementation of innovative strategies and efforts to help fulfill the vision of a connected Columbia Plateau in Washington We also encourage users to review and consider the supplemental connectivity maps presented in our Addendum publication, Columbia Plateau Ecoregion Addendum: Habitat Connectivity Centrality, Pinch-Points, and Barriers/Restoration Analyses. Questions and requests for hard copies of the Executive Summary can be submitted via our Contact Us page. All files in .pdf format. Analysis of the Columbia Plateau. Full document including five chapters for download. Data layers are available for download via zip files below, and are available for download in our Databasin data gallery . Please contact us if you have any questions. List of vector and raster data layers available (PDF file). Click on the species or Landscape Integrity below to download a zip file. Each zipped file contains a geodatabase, layer file dir, and a metadata dir (xml, html). Be aware that these are large files, so you will need a good internet connection to download. Base layers package for the Columbia Plateau analyses. 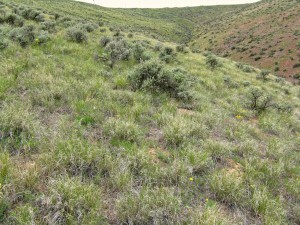 Data layers are copyrighted by the Washington Wildlife Habitat Connectivity Working Group with user constraints and guidance.